The Internet and the advances in e-commerce are changing the way people do business in the 21st century. From the big corporation to the small cottage industry, businesses are now bringing their products and services to new channels and a wider potential customer base. There are many ways to get your products and services online, Insight will advise you on the best and most cost effective solution to meet with your needs and budget. It might be a case of implementing a standard brochure type site with a simple e-commerce solutions to test the market before you jump to a large high-end database driven online credit card verification solution. Our objective is to cater for all of our clients needs, large or small, so we give our clients access to all options available and advise on the benefits that the web can offer their specific businesses. With so many eCommerce Platforms available to businesses nowadays, it can be difficult to decide which shopping cart will best suit your businesses needs. There are many different features that need to be considered in order to find the perfect match. For example, if your store is small in size and only has in or around 10 products for sale then maybe your site may be best suited to a more basic content management system like WordPress using WooCommerce. However if your store is going to be large, offering thousands of products to your customers, then we would recommend using a more robust store management system like OpenCart, Magento or Shopify. Your payment gateway options will depend on which eCommerce Platform you will choose for your business. 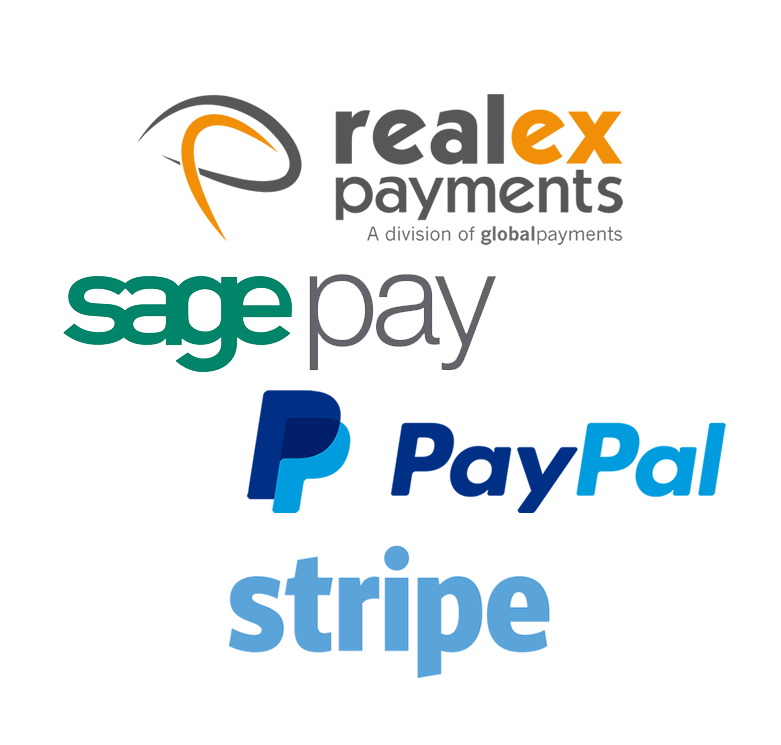 Here at Insight we can integrate any payment gateway options you choose depending on your requirements, such as PayPal, Stripe, SagePay or Realex. Some payment gateways are more suited to particular business types then others. One aspect you will want to consider is what type of security you want to use when allowing your customers to make payment, this is important when you decide whether you want the payment to occur on your website or on your payment gateways secure payment page. Each have different PCI compliance implications. Some businesses will choose to have purchases take place seamlessly on their own website with payment going directly to their merchant bank account others will choose to have payments take place on an external secure payment system thus removing the responsibility for security check to be carried out on their website. There are different fees and contracts available from the different providers and we will be able to advise you on your best options accordingly.